Kev Walsh was born in New Zealand and from a very early age started compereing local Friday night and Sunday Youth Club Dances. This lead to his first stint on Radio. In the early 70’s the lure of Australia beckoned. After moving to Grafton in the mid 80’s the call of Radio once again caught hold and it was off to outback Queensland for a stint as Breakfast Announcer. Returning to Grafton, he did various Country Music reports for 2GF and worked at the local newspaper The Daily Examiner as Promotions Manager. Until recently he wrote a weekly Country Music Column for this newspaper for a period of 14 years. Back in Sydney he joined the Overnight Express Crew on the CBAA network before joining the Good Morning Country guys over 6 years ago. Kevin produces and presents the very successful Album of the Week segment and also produces and presents a weekly Country program on the Community Radio Network under the banner of Spotlight. Kev has been involved with the Tamworth Country Music Festival as an announcer and judge for more than 20 years and the Gympie Muster as a compere and judge for over 15 years. 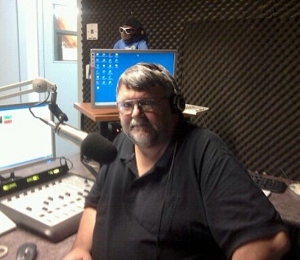 He is also currently involved in radio on Taree’s 2BoB and Great Lakes FM where he presents his Thursday evening program My Kinda Country.